Lucky charms on crafts, packaging and cards are versatile and practical and just right for small "little something gifts" for all the events needing luck. They're suitable for kids, teens, men, parties, graduation, New year, Birthdays, exams, new jobs and more!If you just don't know what little gift or card to give, this combo will have just the right item. A very versatile range with just the right item for many occasions. And suitable graphics for those tricky male and teen customers too! One range has a pretty green gingham design that teams with the lucky charm icons. Charms featured include lady bugs, shamrocks or clover, horseshoes, wishbones, daisies, shooting stars, dice, mushrooms and hearts. Plenty of ready-to-buy items too! on Zazzle in the Anni Arts Luck Gifts Store! And now you can get the paper porcelain one below. Printable crafts added to ready-to-buy items make super gifts! Do you like the Luck range? Would you like to see more products? Five wrap and topper sets to use with a Decorate It! Base Mug Set. 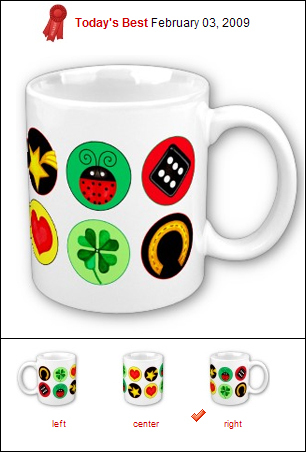 The black Decorate It mug set is perfect for these wraps and toppers. A great container for a Good Luck Gift. A mug for every occasion! Use for birthdays, kids, graduation, exam luck, get well, teachers etc. Included is a wrap and topper set for: Luck Dots, Luck men, Luck Stitch Dots (matches layer card), Luck Gingham, Luck Basic. Pretty green gingham design that teams with the lucky charm icons. Charms featured include lady bugs, shamrocks or clover, horseshoes, wishbones, daisies, shooting stars, dice, mushrooms and hearts. Use for births and birthdays, graduation, exam luck, get well and more! Party Printables with a Luck Dots theme of lucky charms. All the favorite luck symbols are here for a variety of occasions for party animals on a budget. Huge and very versatile set. Fun Party Printables with everything you need for graduation, birthday, good luck or welcome celebrations.Invitations, cake decorations, favor boxes, hats and tableware in a versatile design. Nice little elements for cardmaking too. • A large choc wrapChristmas greetings. 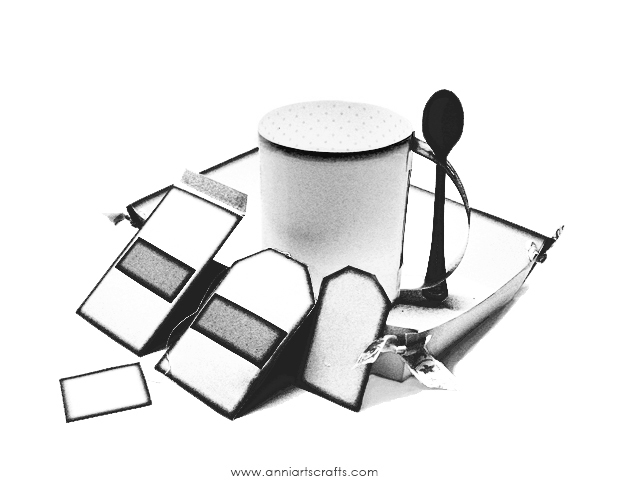 A mix of practical gift printables for chocolate lovers. Choc wraps and truffle box with items for things that are perfect with chocolate: liqueur, music, coffee, tea, plus a little gift bag, labels and tags. TIP: For even more products, add any items from the Father's Day Set, as the base items have no pics on them and can be decorated with the seals from the Chocolate Lovers Kit! A Luck Love range so that you can also be Lucky in Love. A filigree heart has clusters of charms. There is even a little box that is perfectly sized for a golf ball – and one for a ring complete with ring insert. • A heart-shaped packet for a chocolate or a small gift, plus a small one for a ring or a charm or a tag envelope. A multi-occasion luck card collection. The range includes designs suitable for men, kids, and teens, as well as for love and Xmas. They can be used for births and birthdays, graduation, exam luck – or many other events needing good luck wishes. Just print, cut, fold and post. Bold graphics team with lucky charm icons. Charms featured include lady bugs, shamrocks or clover, horseshoes, wishbones, daisies, shooting stars, lucky dice, mushrooms and hearts. The design for men has icons like horseshoes, clover, lucky stars and dice. Cards for life's sad moments. A collection of bold, contemporary, yet tasteful sympathy cards featuring the luck daisy with black accents or the black remembrance ribbon. Elements from various cards can also be cut out and added to other cards to make layer cards. For example the ribbon can be added to the cards with daisies or layered over other ribbons.